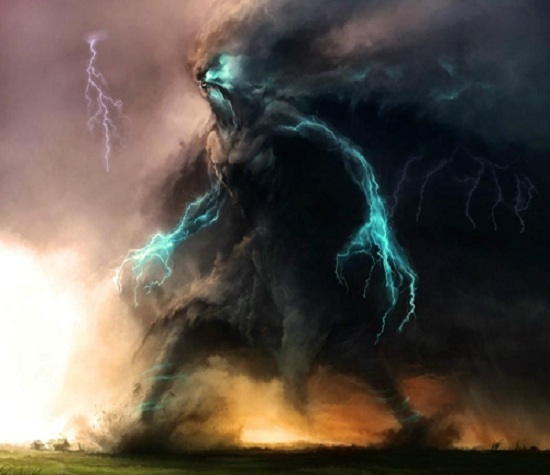 The Storm Kings are monstrous constructs of storm clouds, appearing as mighty entities. Made of tornadoes and walking on two legs. They are expansive in height, with their true girth unknown due to the fact that they are connected to the clouds. Storm Kings are special creatures in the fact that they can only be summoned by the Storm Caller technology or be summoned by torrential storms. They cannot exist in any other place than horrible rain and thunderstorms, as any other weather will kill them. 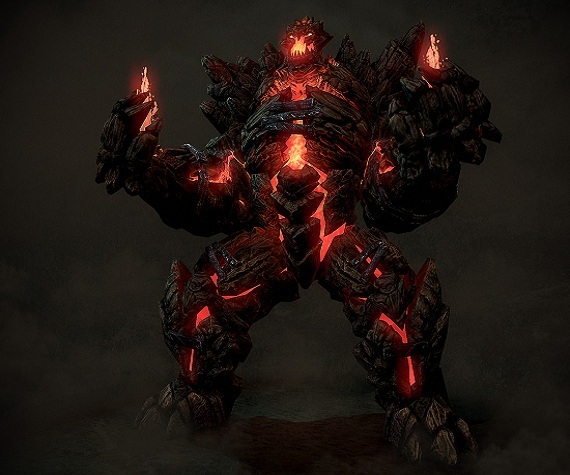 The Flamespout King is a construct made of molten rock and magma. It takes the shape of an astronomically large golem, towering over all who stand before it. It has an incredible breadth of muscle within its cores, allowing it to access reservoirs of untapped strength and power. The Flamespout King is only constructed via volcanic eruptions. They are very non-volatile, simply opting to roam the area. However, upon their being attacked; they will become extensively violent. They have a 10% chance of occurring after volcanic eruptions. The user is capable of generating and controlling particles that are created by carbon dioxide igniting, which result in smoke. The smoke chokes and removes oxygen in the surrounding area. They can control any previously created smoke from fires, create their own smoke, etc.